Once upon a time, Carl Jung said, “I am not what happened to me, I am what I chose to become.” He understood his calling, the special role that was unique to his existence. He consciously pursued it, and he spent his life on a path of powerful healing. 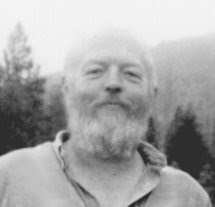 James Hillman was one of Jung’s apprentices. Hillman did not believe that newborns came into this world as blank slates. He saw infants as unique acorns, ready to spend their lives growing into unique oaks. Every oak tree had a different form. No two were identical. The form of the tree was influenced by the information stored in the acorn from which it sprouted. Hillman believed that every human acorn had unique characteristics, and a unique calling, purpose, or destiny. Every person had a sacred obligation to understand that calling and live it. This was why nature-based societies encouraged people to discover their calling via vision quest ceremonies. When they found their vision, they knew their path and purpose. This helped them avoid wasting their lives in aimless wandering. Basil Johnston described how vision quests worked in Ojibway culture. Once a person discovered his or her vision, they tried hard to live in accordance with it. It was not uncommon for folks to periodically stray from their vision, or betray it, and “such a state was tantamount to non-living in which acts and conduct had no quality.” Every year, men and women would go on a retreat, to verify that they were still living in synch with their vision, and make any needed adjustments. Hillman believed that modern society was a train wreck because most people were clueless about their calling, and were wandering aimlessly. Society fed the sacred acorns into a machine that crushed them, shredded them, and converted them into standard issue industrial robots and recreational shoppers — lost souls. On a larger scale, it’s not hard to imagine that entire communities were once guided by a collective tribal vision, before agriculture arrived. Each wild community inhabited a unique ecosystem, and its custom-tailored vision enabled it to live in balance with the land. This vision was passed from generation to generation, across vast spans of time, and helped to keep the life of the tribe stable and secure. The vision guiding the human community was in harmony with the vision of the community of life — they were the same. Ladies and gentlemen, it is with sincere regret that I must inform you that industrial civilization has no sacred vision to guide it; it has a terminal illness. In ages past, as civilization obliterated countless wild tribes, the visions of those tribes were forgotten. Because of this, our society has descended into “a non-living state, and our acts have no quality.” We are no longer like happy tadpoles or maggots, the beautiful offspring of a healthy wild ecosystem. We have been reduced to lonely stressed-out cogs in a global economy. What can we do? Is it possible to remember what was lost? Native Americans have told me yes, it is. If you forget your instructions, just look back toward the Creator’s fire, and you’ll remember them. But each tribe was given different instructions by the Creator. White folks are not like tribal Indians. We’re mongrels, having ancestors from numerous tribes, all now disintegrated or extinct. If I have ancestors from 476 tribes, who am I? What are my instructions? Where is my home? Who are my people? If my wild ancestors were buried in 476 different lands, and all of those ecosystems have been obliterated by centuries of civilization, what good are the ancient instructions? The aurochs are gone, the lions are gone, the forests are gone, and the salmon have been herded into concentration camps. The stories, songs, and ceremonies of my wild ancestors have all been lost. Indians disagree. They insist that all ancient wisdom is always “accessible,” and just wink when I ask how. This is most perplexing! I’m hoping that contemplating a sustainable future will open new doors of perception, or old ones. I’ve lived in nine states, and my extended family is scattered everywhere. We have become wandering homeless people. This year, I’m living in the Willamette Valley, on land violently stolen from the Kalapuya. As a people, the Kalapuya had never forgotten their vision. They celebrated their lives in a paradise of abundant life, and they knew how to live in balance with it. It was easy. All they had to do was to carefully follow the path of the ancestors, the ancient time-proven vision of the community. The Kalapuya were forced out of their home by the white invaders, who had strayed far from their ancestral home, and had no vision for living in harmony. The invaders built the city that I live in, which is insane, and is in the process of committing suicide. It has no spiritual connection to the land, or to life. Indeed, the entire nation is lost and insane. This is not encouraging. Today, the invaders’ culture is a childlike fantasy world of gadget worshippers — robot-driven electric cars, smart highways, smart grids, high-speed trains, Internet everything, windmills and solar panels, and on and on — nothing sustainable, and nothing that is necessary for a healthy and enjoyable life. The purpose of existence is to make lots of money, by any means necessary, and spend it in a manner that continuously increases your display of personal status, as defined by the ever-changing fads of consumer society. Stan Rowe perceived that consumers were raging narcissists, spellbound by their own image, imprisoned in an introspective cage — too much time spent before the mirror, and far too little outdoors with the family of life. Countless millions devote their entire lives to acquiring and discarding unnecessary stuff. Consumers have a deep longing to experience inner peace and happiness in their lives, and they believe that shopping is the sacred path. They are trying to fill the vacuum created by their loss of wildness and freedom. But, no matter how skillfully they shop, or how much they spend, it never works, except for fleeting post-purchase consumer orgasms, soon followed by a return to gnawing hollowness. Trainloads of Prozac numb the pain. I can’t get off the bus and live like a Kalapuya. The deer, elk, and salmon are mostly gone now, replaced by endless herds of automobiles and cell phone zombies. The land has been chopped up into thousands of parcels of private property, where my presence is not welcome. In this reality, a sustainable way of life is impossible. John Trudell says that we cannot have a spiritual connection to the future if we have lost the connection to our past. It’s essential that we remember that everyone has ancestors who were tribal people — admirable folks who were solidly connected to the circle of life, and lived in harmony with it. We are, at root, tribal people who have been colonized. Colonization is a component of the spiritual disease that gave birth to domestication. It’s a mindset devoted to a mining way of life, eating up tomorrow, for no honorable purpose. At the core of our healing process is decolonizing our minds, remembering that we are wild tribal people — human beings — not miners. Seeking an individual and collective vision is, perhaps, what is most missing from today's post-modern world - and what is, perhaps, most needed in order to discover (or invent) a "roadmap" forward toward a sustainable, wholesome and balanced future. The Chinese say that if we don't change where we're going, we'll probably end up there. But it is no use to wander blind, as we are. We need a road map to guide the journey - some sense of purpose, direction and path, as well as a hint of the dangerous obstacles to avoid along the way. I have written on the Collective Rite of Passage at my blog. I invite Adrian's readers to join me there.